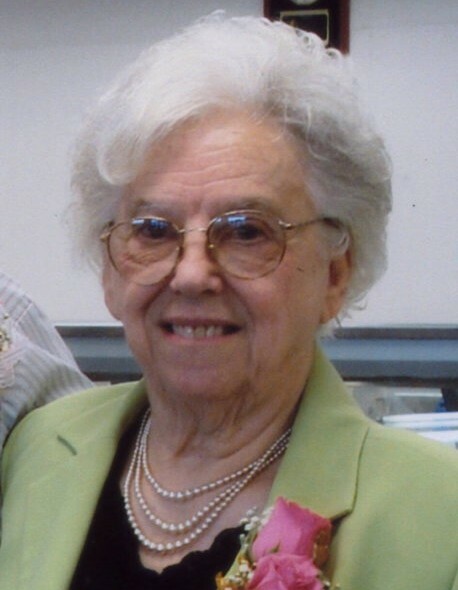 Obituary for Mrs. Frances M. (Ekstrand) Stegall | Hinchliff-Pearson-West, Inc.
Mrs. Frances M. Stegall, 91, of Galesburg, Illinois died 11:35 a.m. Tuesday, February 5, 2019 at The Hawthorne Inn in Galesburg. She was born January 8, 1928 in Haw Creek Township in Knox County, the daughter of Herman and Laura L. Likes Ekstrand. She married Leslie W. Stegall on June 27, 1948 in the Yates City Methodist Church. He preceded her in death January 13, 2010. She is survived by her son, Larry (Carol) Stegall of Huntingdon, Tennessee, a daughter, Kae (Jim) Hankes of Galesburg; seven grandchildren, Brian (Jill) Stegall of Waterloo, Iowa, Amy (Doug) Wolcott of North Liberty, Iowa, Ashley (Jeremy) Yeakey of West Peoria, Samantha (Mark) David of Dunlap, Doug (Lindsey) Hankes of Galesburg, Jeff (Brie) Hankes of Galesburg, and Richard (Ashlee) Hankes; nine great-grandchildren, Alexia, Colton and Brooke Wolcott, Bree and Parker Stegall, Dana Babcock, Zander Yeakey, Bentley David and Alianna Hankes. She was preceded in death by her parents and brother, Robert Ekstrand. Frances graduated from Yates City High School and attended Western Illinois University. She taught in rural Knox County schools. She was a farmer’s wife helping her husband Leslie raising livestock and active in helping her children in 4-H. She worked at the Galva Foundry until she retired. She helped at Thrushwood Farms during their cookout season. She enjoyed traveling and treasured her time with her grandchildren. Funeral service will be 2:00 p.m. Friday, February 8, 2019 at Hinchliff-Pearson-West Funeral Directors and Cremation Services Galesburg Chapel. Rev. James Ecklund will officiate. Burial will be in Victoria Cemetery, Victoria, Illinois. Visitation will be 1:00 to 2:00 p.m. Friday at the chapel. Memorials may be made to K.C.C.D.D. or to the charity of the donor’s choice. Online condolences may be made at www.h-p-w.com.